← A sight to behold! 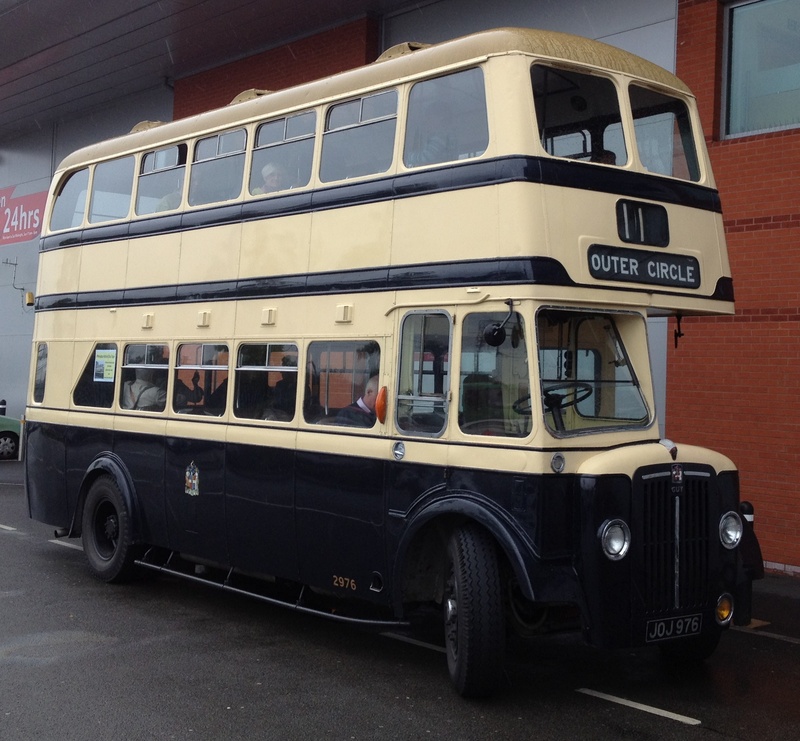 We have two more Historic Bus Tours around the Outer Circle in September 2013. Once again we are using the Guy Arab IV number 2976 from The Transport Museum in Wythall. There are a few seats left on both of our tours on the 20th & 27th of September. We leave the museum at Wythall at 10:30 – start the tour at Sarehole Mill at 11:00 and are back at Wythall by about 2:30pm. We stop for a break at Tesco in Witton for a cuppa or a bite of lunch! This entry was posted in Historic Bus Tours, Historic Bus Tours for 2013, Outer Circle Bus Trips and tagged 1950s Birmingham Corporation Double-Decker, Birmingham, Birmingham Bus, Birmingham City Transport, birmingham in the 1950s, BRUM, Bus Tour, Buy tickets, Guided Tour, Guy Arab IV, Historic Bus Tour, I want to sit upstairs at the front, Outer Circle, Outer Circle Bus, outer circle bus birmingham pictures, Ride the Outer Circle, Wythall Transport Museum. Bookmark the permalink.